Filming will begin in February 2018 on a new Lookout Point and BBC Studios co-production of Les Misérables for BBC One and PBS’ Masterpiece. The six-part adaptation of Victor Hugo’s 19th-century classic will feature an all-star cast, including Dominic West (The Affair; The Hour; Appropriate Adult) as Jean Valjean. 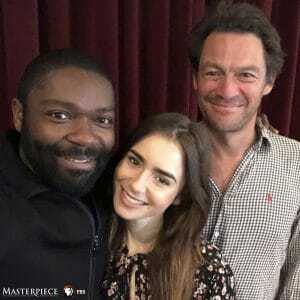 David Oyelowo (Selma; A United Kingdom; Spooks) will star as as Javert, and Lily Collins (Rules Don’t Apply; Love, Rosie; Tolkien) will join them in the role of Fantine. Multi award-winning screenwriter Andrew Davies will go back to the original novel and delve deep into the many layers of Hugo’s story, exploring Jean Valjean and Javert’s cat-and-mouse relationship, against the epic backdrop of France at a time of civil unrest. With a striking intensity and relevance, the novel is testimony to the struggles of France’s underclass and how far they must go to survive. Stay tuned to CPTV for more information on Les Misérables and when it will make its Masterpiece debut!